Trees are wonderful as they provide us with many things, such as shade, an abundance of oxygen, protection against landslides and floods, and even a sturdy place to build structures or hang swings and hammocks from. Trees can also add beauty to a given space, such as a backyard or a garden. A poorly-managed lawn or sickly-looking tree, however, can completely take away the eye-catching aspect of any front yard or garden. On top of that, poorly maintained garden trees can even be a potential hazard to you and your loved ones. Even a juniper tree will be able to withstand harsh weather after it has been pruned. 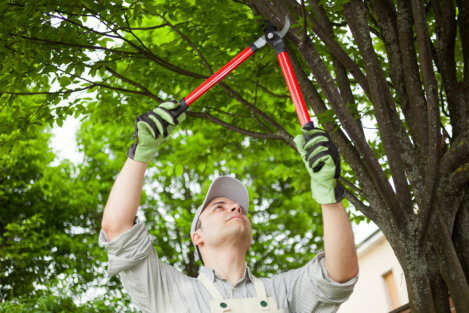 When a professional pruning and tree removal service provider uses the proper techniques in pruning, your tree can grow to have stronger roots, stems, and branches, making for a healthier tree. Any fruit-bearing tree greatly benefits from pruning. This is because the removal of dead and overgrown branches can give way to a better distribution of nutrients throughout the tree, enabling it to bear good fruits. Withered, overgrown, and dead branches pose a risk for injuries, as they can fall at any time without warning. When strong winds blow, these branches may disrupt power lines or even cause destruction to your property. It’s better to be safe than sorry. Similar to humans, trees can also contract diseases, and these can very much spread to all parts of the tree—making it sick, wither, and later on, die—unless taken care of at its early stages. Pruning works to prevent the spread of disease, as well as to treat the disease by removing any part of the tree that has traces of it. Pruning works very well in maintaining the beautiful appearance of a tree. Not only will the sickly-looking, withering, and dead branches and stems are removed, but the tree will also grow faster and therefore develop a fresher look when it is properly pruned. AJ Tree Service provides services in tree removal and landscaping in Broken Arrow, Oklahoma, that you can rely on for your tree, yard, and garden needs. You can count on us to properly prune and trim your trees in order to maintain the beauty of your yard, as well as to keep your trees healthy and preventing dead branches from hurting you and your loved ones. We take pride in bringing our clients only good tree service in Tulsa, Oklahoma. Contact us today at 918-232-4853. This entry was posted in Trees Pruning and tagged fruit production, grow healthily, prevents disease. Bookmark the permalink.